Police recently found and arrested the driver who fled the scene after a fatal Indianapolis car accident. Learn about the crash and the laws on hit-and-run accidents in Indiana below, and contact a knowledgeable Indianapolis personal injury lawyer if you’ve been the victim of a hit-and-run accident. On October 18, 2018, at 12:45 pm, an 18-year-old man was driving an SUV west on East 10th Street near its intersection with North Ridgeview Drive. When the driver of a sedan attempted to turn onto East 10th Street, the SUV slammed into the car. The driver of the car, a 63-year-old man, was initially thought to be in serious condition. Sadly, he was later declared dead at the scene of the accident. The Indianapolis Metropolitan Police reported that the SUV’s driver had fled from the scene of the accident on foot. Weeks later on November 3, Indianapolis police located the driver and charged him with reckless homicide, failure to remain at the scene of an accident resulting in death, and failure to remain at the scene of an accident involving serious bodily injury. Victims of hit-and-run accidents may feel hopeless about their chances of recovering the compensation they’re owed after a crash. Many drivers fleeing the scene of an accident do so because they lack insurance coverage and fear facing personal liability or even criminal charges for the accident. In fact, leaving the scene of an accident where there has been property damage, serious injury, or death is a crime in the state of Indiana, with drivers who flee the scene facing possible felony charges depending on the circumstances of the accident. 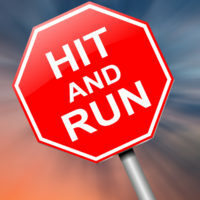 Police or investigators may be able to locate the driver involved in a hit-and-run, offering victims the opportunity to file claims against the at-fault driver for their property damage, medical expenses, pain and suffering, and possibly punitive damages. Fortunately, even if the fleeing driver is never located, insured Indiana drivers have an opportunity to receive compensation for their injuries. Every driver in Indiana is obligated to carry uninsured/underinsured motorist coverage, which provides benefits under a driver’s own insurance policy when the at-fault driver isn’t available or isn’t insured. That said, hit-and-run victims sometimes struggle to prove their right to damages under their uninsured motorist coverage without the help of a skilled attorney, due to the challenges in proving the circumstances surrounding the accident. An Indianapolis hit-and-run injury lawyer can help investigate these claims and provide proof to insurers of your right to money damages after a reckless driver flees the scene of the crash. For seasoned and effective legal help after an Indianapolis auto accident, contact the skilled hit and run lawyer at Lee, Cossell & Crowley for a free consultation at 317-631-5151.